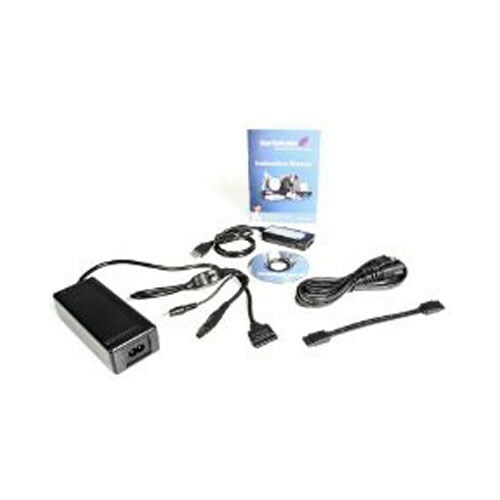 This USB 2.0 to IDE or SATA Adapter Cable allows you to copy, backup, or transfer large amounts of data from one drive to another, while taking advantage of convenient plug and play functionality. A convenient solution for testing USB or SATA drives without the hassle of installing the drive within a computer case, USB2SATAIDE provides LED indicators that allow you to easily monitor status and activity updates. Click the button below to add the 1302082 StarTech.com USB 2.0 to IDE / SATA Drive Controller Adapter to your wish list.